There are more to feminism than women campaigning for the rights of women. Feminism is a broad concept with various element. These elements can be seen as separate or a whole to define feminism, and not all of them need to be present to identify feminism. There are concerns in the scientific community that feminism influence the outcome of scientific studies if the studies are either run by women or researching female issues. Female researchers are seen as emotional, personal and subjective, and in the masculine scientific world it is assumed that female researchers cannot make objective findings, something that feminism is trying to prove wrong. In short, feminism can be seen as the global movement to promote women rights. 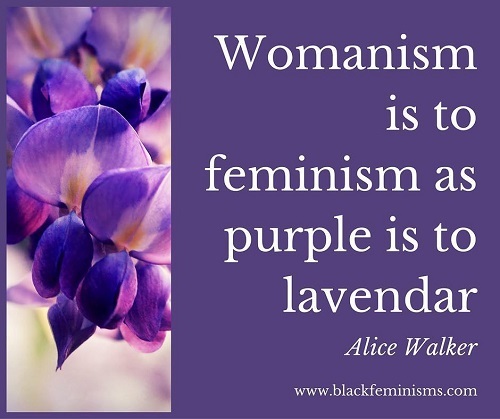 Is feminism and womanism the same thing? Both are controversial schools of thought. The best example of the success of feminism is the fact that more women are appointed in high profile positions such as Supreme Court Justices and CEO’s of international companies. Various males in top positions now claim that they are deprived of promotions or better opportunities because of the success of females and feminism. There are various countries in the world where women do not have any rights, but their rights have improved since the globalization of feminism. Only recently women were allowed to obtain driver’s permits in Saudi Arabia, a country which previously did not allow women to go anywhere without a male companion. The womanism movement in the United States have led to black women achieving prominent positions in government and the corporate world. However, womanism has also led to black women not acknowledging black women in prominent positions. Due to the oppression that black women have suffered throughout history, it became difficult for normal citizens to acknowledge the success of other black women. Today, a lot of black women in prominent positions are seen as only puppets for the patriarchal system. Black women are also mostly labelled as not earning their positions or if they have achieved it on their own, then they are labelled as women who use their bodies to achieve the positions. Feminism and womanism have both tried to improve the life of women. Feminism can be seen as mostly successful, with some of the major biases against women being dispelled by their school of thought. Womanism can be seen as successful to a certain extent, however, it also led to the alienation of successful African American women. Althea Gerber. "The difference between Feminism and Womanism." DifferenceBetween.net. October 9, 2017 < http://www.differencebetween.net/miscellaneous/the-difference-between-feminism-and-womanism/ >. Good article, but why is “lavender” spelled incorrectly in that meme? Fiss, Owen M. "What is feminism." Ariz. St. LJ 26 (1994): 413. Delmar, Rosalind. "2 What is Feminism?." (1986).